Oh, you’ve got your first dropshipping order! Somebody visited your store and bought one or many of your great products. All your efforts really paid off and you have every right to be proud of yourself! The question is: what’s next? What do you have to do after making your first sale? Here are our 9 tips which will help you process your first dropshipping order and build a positive image of your eCommerce store. 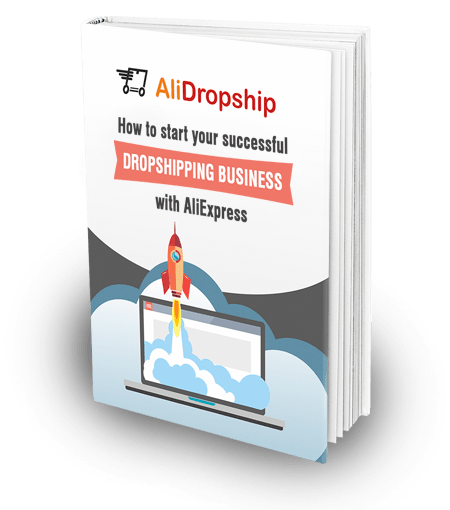 #1 Don’t procrastinate to process the dropshipping order! After getting your first order you’re most likely over the moon and want to share your excitement with everyone in the world. I can totally understand your feelings and how happy you are, but you actually don’t have a minute to lose! AliExpress suppliers need some time to process your dropshipping order and send the product. Usually, it takes them up to 7 days in the off-season and more than 7 days during the holiday season. Thus, get your skates on and start processing your first dropshipping order right now! 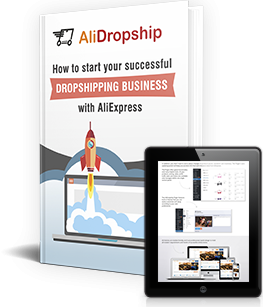 AliDropship Plugin allows you to make the process of order fulfilment automated. However, you need to make sure that these options are activated. Go to your WordPress admin panel, choose the AliExpress button and click on Settings. You will see the following window. They will automatically change the status of your dropshipping orders, so you’ll have more time to focus on developing your marketing strategy or any other important things for your dropshipping business. For example, once you placed an order on AliExpress, the plugin changes the status of your order from “Paid” to “Processed”. After getting the Tracking ID, it will automatically change the status from “Processed” to “Shipped”. The AliDropship plugin has a great feature which allows you to leave a message for your supplier. It will be sent automatically when placing an order on AliExpress. In this message, you can write your suppliers that you’re doing dropshipping and ask them not to add any promotional materials to your orders or not to mention their return address on the package. Thus, you will have fewer chances to be associated with AliExpress. We strongly advise you to check the information your customers write when filling in the contact form. Sometimes they make mistakes when writing the names of their countries or cities, add unnecessary information or forget to mention some important things. In this case, you have to edit this information on your own or get in touch with your customer to receive more information. Although it takes you some time, you’ll have less problems in the future. We often face buyers who place lots of orders at once and pay for their purchases by different credit cards or PayPal accounts. These buyers are most likely frauds who got access to other people’s credit cards. We recommend you not to process such orders because they may easily become your bad headache in a while. To make sure that your customers are not frauds, ask them to send you the photo of the last four digits of their card numbers. As a rule, fair customers send photos without any trouble, whereas frauds stop answering emails or block your messages. In this case, it’s better to give these people a full refund and to forget about them, even if it’s been your first dropshipping order. To send your customers email notifications when they place orders on your store or when you change the order status, you need to be registered with a mailing service. AliDropship plugin supports the most popular mailing services, the list of which you can find in our knowledge base. Choose the service you like the most, create an account and follow our instructions on how to connect this account with your plugin. We have detailed articles on it in our knowledge base, so feel free to read them. Make sure that you have created message templates which your clients will get after changing the status of their orders. For your customers, it’s very important to know what happens to their orders – whether they are on their way or stuck in somewhere. If you don’t notify people, you will have a great chance to get tons of emails, which include questions and hateful comments. That’s why we recommend you to create message templates in advance to automatically notify your buyers of the order progress. It’s a guaranteed way to make your dropshipping journey more pleasant both for you and for your customers! It may happen that your first dropshipping order is placed by a person who doesn’t actually represent your target audience. For example, an old woman from Brazil bought an expensive high tech gadget from your store. Of course, this woman can be interested in science and tech devices but it doesn’t mean that all old women in Brazil are keen on buying these things. If you start advertising on this audience, you’ll have a great chance to go out of business. That’s why you need to regularly monitor your website’s visitors and buyers to get a sense of them. As you know, having a strong marketing campaign is a key to success in dropshipping business. If you can’t get your first dropshipping order, it most likely means that you do something wrong. Make sure that your niche is popular and you offer your clients the best products. Check if your website is unique or looks professional enough to attract visitors and make them buy from you. Use new marketing tricks and do SEO to improve your website’s performance and refresh your marketing strategy. Don’t worry: your efforts will be paid off and you will definitely get results! Has your store already got its first dropshipping order? How were you feeling at that moment? Leave your answers in the comments section below! Not Getting Enough Online Store Sales? Here Are 20 Ways To Fix It! Is It Too Late To Start A Dropshipping Business In 2019?